Tacos are one of my favorite recipes to make. I’ll be honest, it’s mainly just because they are super simple. 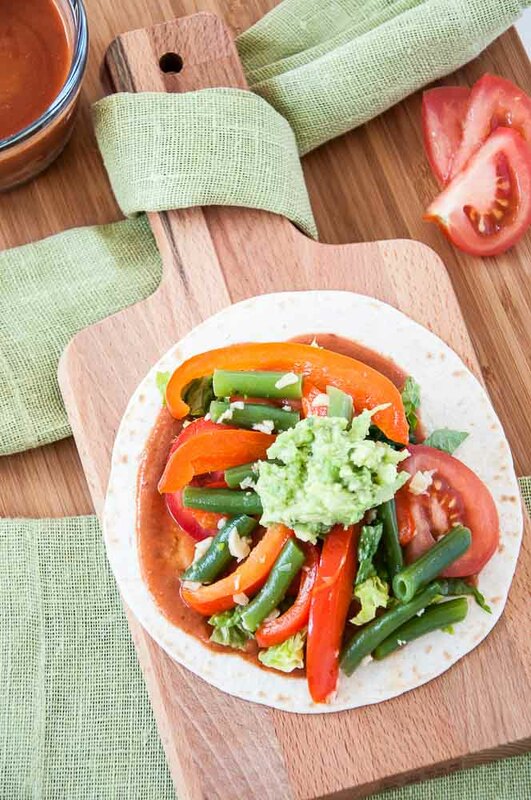 These easy veggie tacos are no exception. Kids love them. Adults love them. Everybody gets to make them exactly the way they like. You like your veggie tacos spicy? Add some major heat! Either way. 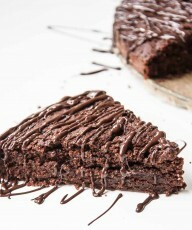 It’s always great to have a go to recipe that you know will please everyone. There are so many great and different veggie taco recipes around. 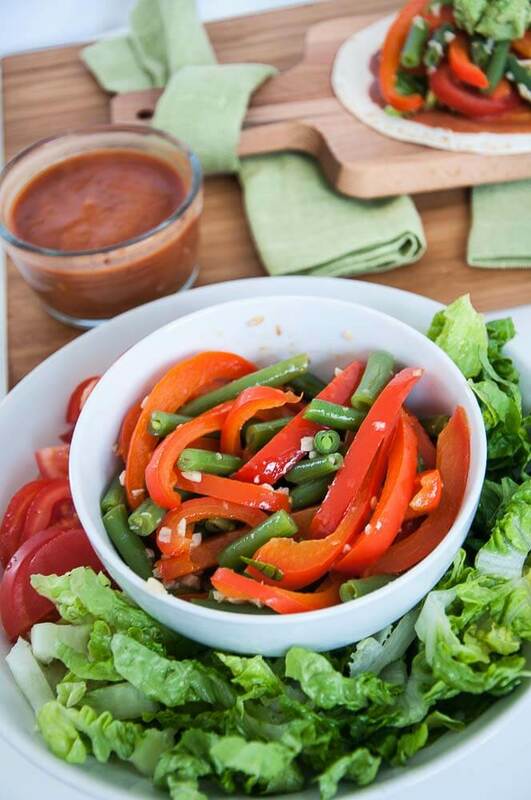 I’m sharing my favorite veggie combination with you today as well as my killer homemade taco sauce recipe. You can load up your tacos with whatever you want but as a rule of thumb, I always stick to 2 different kinds of cooked veggies with a handful of raw ones. 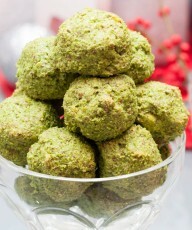 This recipes calls for green beans (my fav! 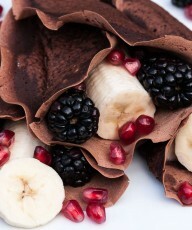 and oh so healthy!) and bell peppers. I used red bell peppers but you can really use what ever color your heart desires. I wouldn’t go with green though unless you want some green power tacos. That might actually be a good idea! 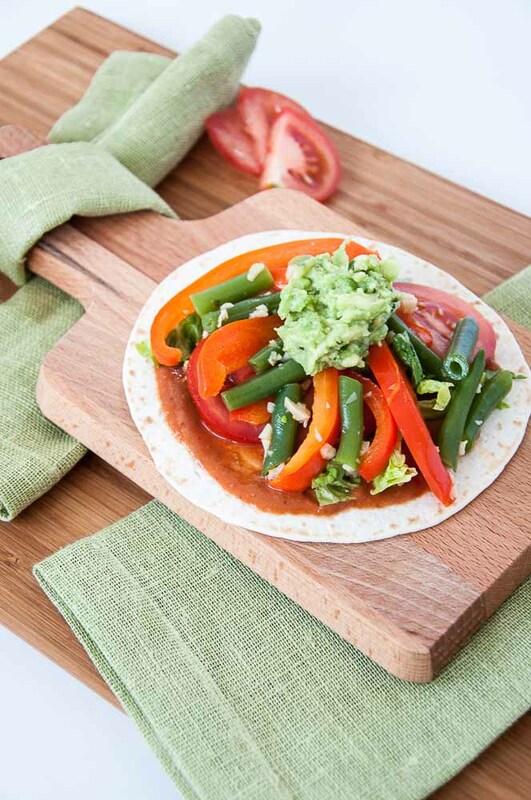 Cook the green beans and bell pepper together, add some fresh minced garlic and you are on your way to making some veggie taco magic! 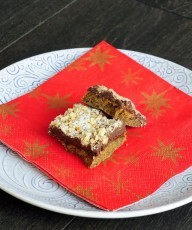 For some reason the picture above remind me of Christmas. 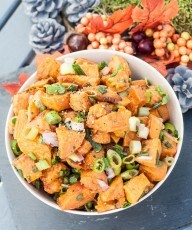 It might just be the color combo or the fact that I get super excited when I see garlic covered veggies! A taco Christmas in June? I’m all for it! Load up the veggies, add more veggies, plus taco sauce and guac and I’m one happy camper! 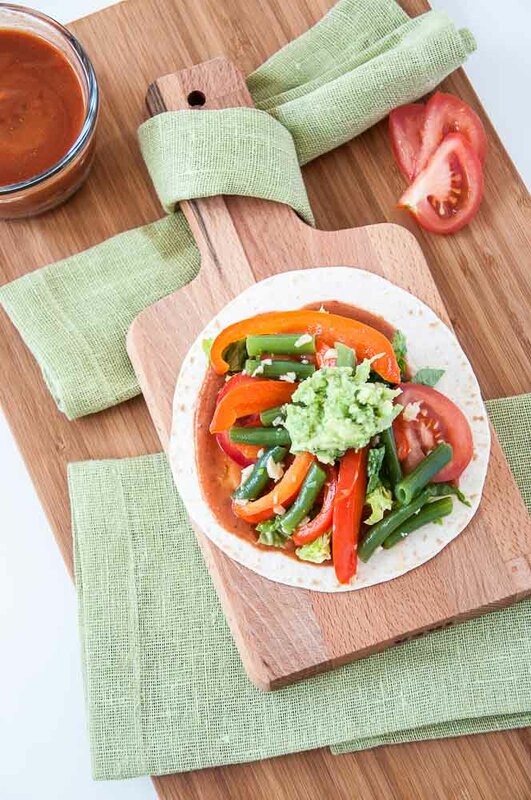 Quick and Healthy Veggie Taco Recipe for the whole family to enjoy! Prepare green beans by trimming both ends, and cutting them into 1 inch slices. Steam or blanch green beans for roughly 2 minutes. Remove from steamer or stock pot and run cooked green beans under cold water. Set aside. Heat olive oil over medium heat in a saute pan. Add minced garlic and salt and saute for 2 minutes. Add sliced bell peppers and cook covered for 5 minutes, stirring occasionally, until bell peppers have softened. Add cooked green beans and cook for another 2 minutes. Remove from heat and set aside. 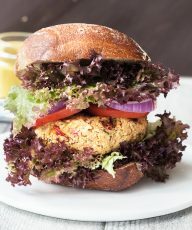 Meanwhile, chop tomatoes, lettuce and onion. Set aside. Prepare easy guacamole. Mash avocado in a bowl with a fork. Mix in salt, cilantro, lime juice, and red pepper flakes. 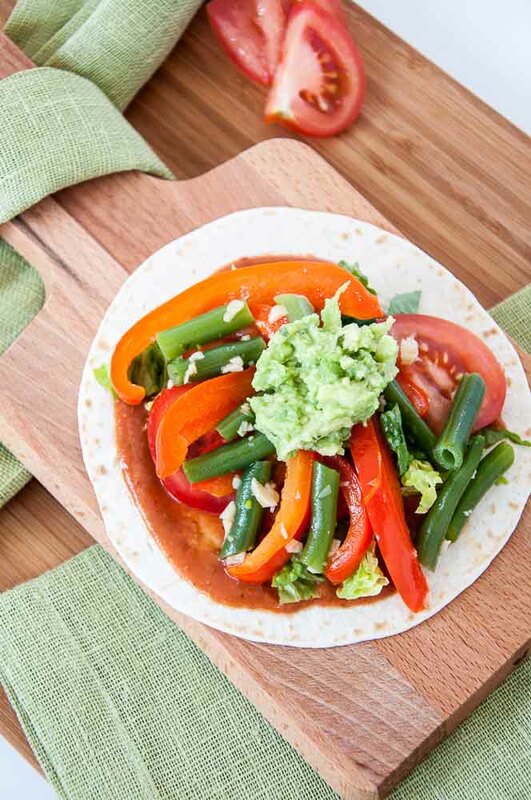 Assemble tacos by spreading VFR's Taco Sauce on tortilla or on bottom of taco shell, top with lettuce, tomato, onion, then add Green bean-bell pepper mixture, and top with easy guacamole. Don’t skimp out on making the taco sauce! Definitely better, cheaper and healthier than storebought! 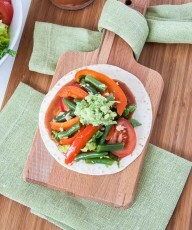 Not really into green bean tacos? 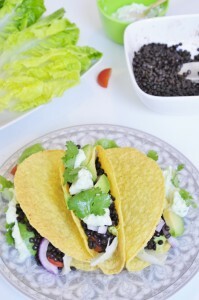 Then try my yummy Beluga Lentil Tacos with Jalapeno Cream! I LOVE tacos. And I like these filled with all those delicious peppers. YUM!! 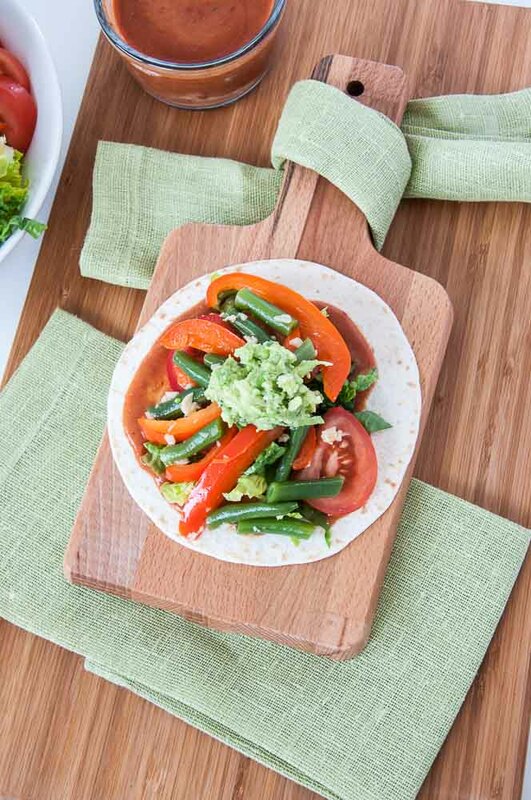 Love tacos and these veggie ones looks fresh and delicious! Need to try them with the homemade taco sauce of course ! love tacos, these look so yummy Vanessa!! I love these tacos!!! 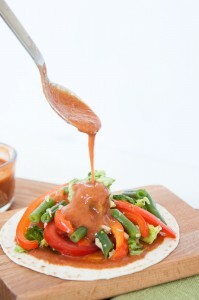 love the green beans and I have to try your homemade taco sauce recipe!!!! I’ve never put green beans in my tacos before, and it actually sounds fabulous. Why didn’t I think of that? I’m on my way to check out your taco sauce recipe now. Sounds great!